evensong | and sure stars shining . . . I got to the airport in time for an interdenominational Protestant service in the airport’s interfaith chapel, so I joined a half dozen others for the noon service. A young and energetic . . . and eager . . . minister presided; he is affiliated with Moody Bible Institute, so I pretty much knew what to expect. What followed was a terrifically evangelical sermon that nominally used the Luke narrative about Jesus’ birth as its source. No exegesis took place in his sermon, sadly. I wish he would have realized he was preaching to the faithful. I wish he would have ministered to needs — weariness, longing for family, fear of travel, and the like — rather than try to get us to commit to a personal relationship with the baby Jesus. 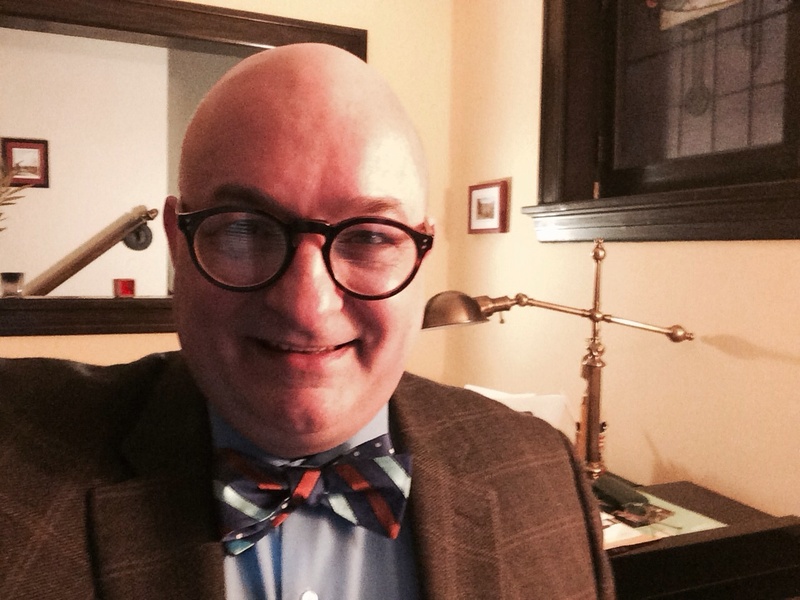 The minister is young; perhaps he’ll realize what pastoral ministry and chaplaincy truly is. If he can channel his eagerness into practicality, I’m certain he’ll grow! I have always struggled with understanding . . . no, let me say more clearly: I simply do not understand those who pray using the delimiting word ‘just’ in every sentence. That word, in that context, limits and defines what one is praying for, rather than making the intent wider and broader. I should think that, rather than “We just thank you” or “We just come before you” we might instead pray “We thank you” or “We come before you,” and in doing so we would mean the same thing. The jargon of evangelical prayer is something I find very off-putting. I stayed in the chapel to read Morning Prayer from the on-line site dailyoffice.org. And then I ate a McDonald’s quarter-pounder for lunch. I have never encountered such smooth security, and such short lines, at STL or MDW. You poured on the charm this weekend, especially on Friday when you expected the busiest single day of the year. You moved us through lines with efficiency, and you made the right choice in having a multitude of lanes open at airports. I wish the security part of air travel was always this easy. Congratulations, gang. You have a happy traveler sending grateful thanks. One final note tonight: Joe the Pastor noticed that two young Muslim men were about to enter the chapel, just as the evangelical service was starting. He looked right at them, smiled, and said “Guys, we’re just starting a service in here. But here are two prayer rugs; you can use them in the office.” And so, as we prayed at noontime, we were joined by two followers of Allah, praying in the room next door. I found that symbolism so powerful that i was moved to tears. And a final, final note: Evensong for the Fourth Sunday of Advent tonight at Christ Church Cathedral was the perfect end to a lovely weekend away. The gospel reading for Evensong: For God so loved the world that he gave his only son, that whomever believes in him will not perish, but will indeed have eternal life. This entry was posted in Daily Life, Episcopal Church, Travel 2013 and tagged evensong, Midway International Airport, Moody Bible Institute on December 22, 2013 by Jeffrey Carter. More details will wait for tomorrow or Friday, as we are suddenly in the thick of things. The KCMO group has arrived after 40+ hours of transit. The already-in-Uk remnant sang Evensong at Exeter today. And I received more than a dozen birthday cards upon my return to Bristol this evening. Exeter Cathedral nave and organ. This entry was posted in Travel 2013 and tagged evensong, Exeter, Greene King on July 17, 2013 by Jeffrey Carter. Having not been to church for two weeks because of transit, I gave today over to God. And some transit and sightseeing. My end-of-tour hotel was a fifteen-minute walk from Westminster Abbey, so I took off around 9 this morning to walk by the Thames, over Lambeth Bridge, and then up by the park and the Houses of Parliament. Arriving at the Abbey by 9.20, I was one of the very first in line for seats for the morning services. One of the joys of attending the Abbey is the chance to be seated in the Quire, very near the singers, under the organ pipes, within breathing space of the Precentor and Lector. I was in the last seat of the second row, immediately adjacent to the Lantern, for both Mattins and Holy Eucharist. One of this morning’s sermons was splendid. The liturgy was faultless, perfect in allowing the worshipper to give him- or herself over to the inner meaning and beauty, and to adoration and true worship. Add to that the music, with works by three dead white guys who were each buried just yards from where I was seated. Ralph Vaughan Williams, Purcell, Frank Martin, Hassler, William Walton — all were represented this morning. Of course, the great jewel of the British choral tradition in cathedrals and collegiate chapels is Evensong. After moving from the tour hotel to an inferior model close to Paddington, I made my way by Tube back to the Abbey for that service. I arrived to find a huge queue; high summer tourist season is now, coupled with the ‘Valediction of the Choristers,’ the formal end to the school and church-music year when the 8th-grade boys are sent away to another school, to sing Treble no more. –the Purcell introit was evening more lovely and aching this evening. There’s just something about singing in front of the Quire Screen at the Abbey that concentrates sound. –The psalm was fine, to a Barnby tune I didn’t know. –Howells’ Gloucester Service has that goosebump moment in the Gloria on ‘As it was . . .’ and I goosebumped right on cue. What glorious music this is! –Parry’s ‘Blest pair of sirens’ has never sounded more beautiful, or more perfect for the setting, as it did today. –The Dean preached a magnificent sermon about music and the boys and family & fellowship. He set up perfectly what was to follow. –I choked back tears on ‘The day thou gavest,’ the most perfect and quintessential of all Evensong hymns. Then we get to the Valediction. Seven choristers, most of them heads taller than the rest of the boys, stepped forward to be given a send-off by the Dean. They were each named individually. Prayers and blessings were said. And then the service was over. Imagine this, though: the seven boys were then at the end of the final procession, surrounding the Dean in a special place where they will walk only once, at this particular service. Most of them were in tears. They’ve spent the last four . . . five . . . six years singing nearly daily in the Abbey — eight services a week, nine months of the year. They have toured the world on the Abbey dime. They are among the elite of the elite, singing a prodigious amount of music to incredibly high standard, educated in one of the finest private schools in the UK, meeting kings and queens and Popes and more dignitaries — in one year — than I will meet in a lifetime. And then, just like that, on July 14, they walk out for the last time. The robes, the music, the friends, the in-jokes, the splendour and beauty of that place — it’s all over. And I did, when I looked behind me and saw all the rest of the clergy greeting the boys, all gathered in front of the Tomb of the Unknown Soldier resting in his grave lined with dirt from the French battlefields of World War I.
I said to Fr. Jamie, who preached so magnificently this morning, “What a blessing and joy it must be to serve in this holy place.” He assured me it was. One final note: some years ago, I was at the Abbey on a day when four new choristers were admitted to full choir membership from probationary. I think I blogged about that at some point. Well, today, the circle was complete. 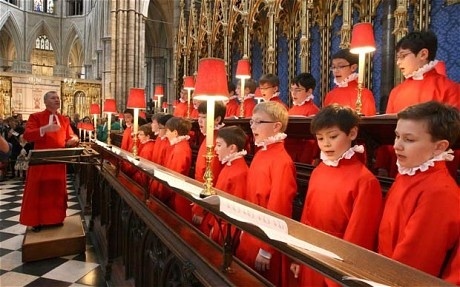 At the end of each service today, ten short little robed boys, each of them seven or eight years old, walked solemnly into the Quire before the service, and exited at the end, two by two. The probationers are watching and learning. Among those ten are the seven who will step up at some point next year, and say “With the help of God, Sir, I do” when summoned by the Dean to full membership. This entry was posted in Episcopal Church, Travel 2013 and tagged evensong, Holy Eucharist, Matins, Valediction, westminster abbey on July 14, 2013 by Jeffrey Carter. After arriving four hours later than planned, I was still able today to attend Evensong at the Abbey. I’ll have a full report in the morning, as I’m already starting to fade today and it’s only 5 p.m. This entry was posted in Travel 2012 and tagged evensong, paprika, westminster abbey on October 14, 2012 by Jeffrey Carter.